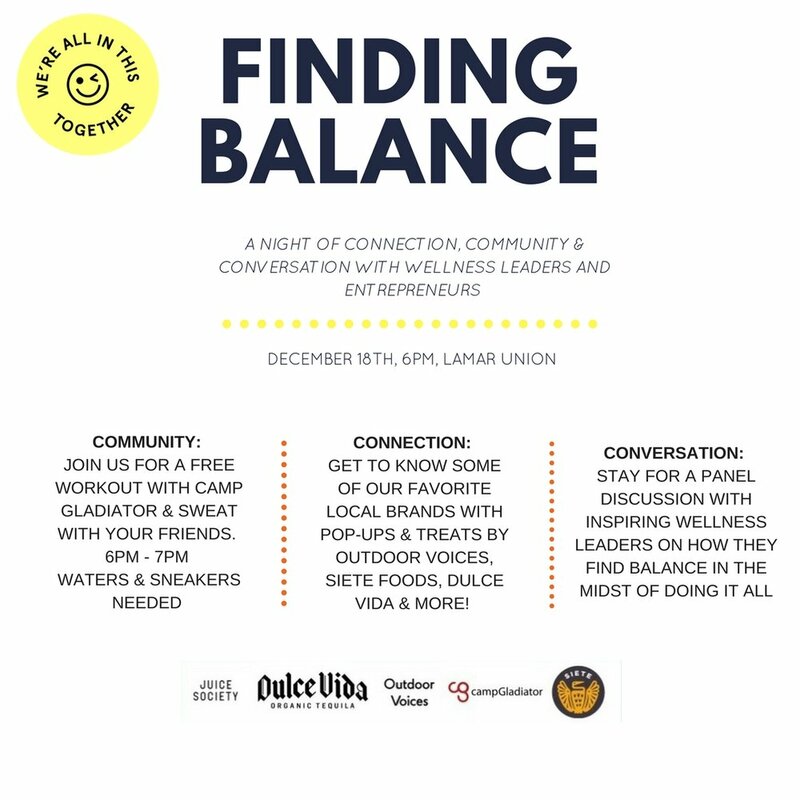 Juice Society is hosting a community event that will start out with a Camp Gladiator Boot Camp Class, followed by a panel discussion from wellness leaders and entrepreneurs. I am honored to be on the panel discussing how I find balance as an entrepreneur and make wellness a priority. For more information and to RSVP, click below. See you there! #ATXconnectionmixer New Year's Intention Fair with The Refinery!